Monday was crossover day, the deadline for bills to pass either the House or the Senate. Bills that haven’t passed one of the two houses by this critical day are considered dead for the session. 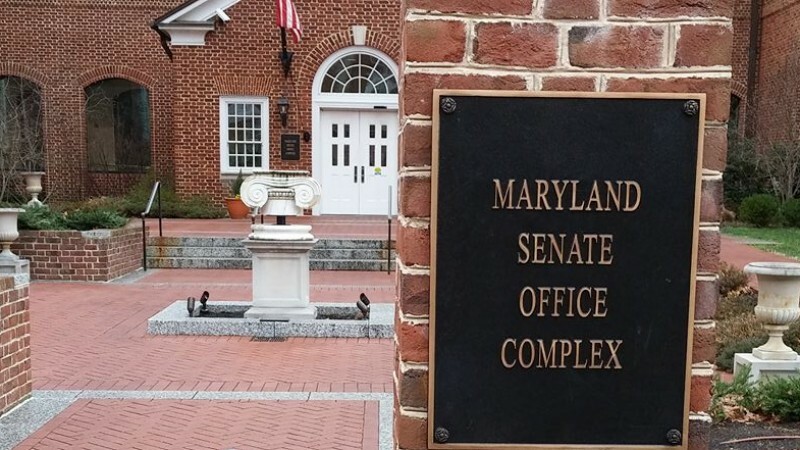 As Bike Maryland’s team in Annapolis, Kim Lamphier and I live and breathe the battle to improve bike safety and infrastructure every day, and in the middle of these battles, moments of reflection can seem like a luxury. Often our victories seem temporary and defeat seem permanent. However, Maryland cyclists had a good crossover day. So sitting here on this icy first day of Spring, I wanted to take a moment to celebrate and say thank you to all who helped us get here. In the House, we went 4 for 5. After session, I’ll explain more about our loss, but we have enough to celebrate at this moment so let’s focus on the victories. Both HB 0744 – Complete Streets Policy – Adoption and HB 0535 – Complete Streets Program – Establishment passed. We didn’t get everything we wanted, but I’ll elaborate on all of that after session. The short story is that the movement to create complete streets policies to govern Maryland’s transportation planning took a big step forward. HB 749 – Vehicle Laws – Dedicated Bus Lanes – Enforcement passed the full House as well. Bus lanes are a critical tool in making transit a fast and reliable mode of transportation. However, as with bike lanes, cars and delivery trucks using the bus lanes can cause a severe hindrance to their effective use. This bill creates an effective process to enforce the prohibition of non bus use of bus lanes. As cyclists, we stand in solidarity with all users of “alternate transportation”, complete streets only work if “everyone stays in their lane”. The bill I want to spend the most time talking about is HB 1099 – Vehicle Laws – Injury or Death of Vulnerable Individual – Penalties. This was one of the harder fought “battles” (and we expect a hard path to victory in the Senate). Additionally, there is a lot of misinformation in the cycling community about just what a Vulnerable Road User law is meant to accomplish. The Vulnerable Road User law is meant to fill the gap in the judicial system between a simple traffic citation and criminal or gross negligence. It is not meant to create just compensation to the victim (that is for a civil suit to determine). The law is really meant to help alter behavior. In order for this law to be applied, the perpetrator must have committed a moving violation and caused a severe injury or fatality to the victim. The law that just passed the House of Delegates has a requirement to appear in court, a fine of up to $2,000, a required safety education class, and a license suspension (7 days – 6 months). It’s difficult to truly express how important a vulnerable road user law really is in changing the overall safety mindset of our transportation system. I really want to make sure, on this bill specifically, we give proper thanks to those who helped get it over the finish line in the House. Let me start with all of you who wrote to your Delegates – it had a huge impact as we heard from committee members and others that they were hearing strong support for this bill. Thanks are due to the group that came to testify – BikeAAA’s indefatigable Jon Korin, BikeLaw’s Peter Wilborn who is second to none in knowledge and understanding of bike-related law, and Nigel Samaroo. Nigel’s testimony was met with audible gasps when he put a personal face on the need for this bill. Of course, the bill’s sponsor, Delegate Steve Lafferty deserves great praise for ushering this bill through every step. Finally, we have to give special thanks to Delegate Pam Beidle, the Chair of the Transportation Sub-Committee, as she was instrumental in moving this bill forward and stopping a ridiculous amendment in its tracks. If you live in Delegate Lafferty or Delegate Beidle’s district (and frankly even if you don’t) please take a moment to email or call them and thank them. We would not be here without both of them doing the work they did. Next up though, the Vulnerable Road User Bill moves to the Senate and as hard fought as this victory was in the House, it is likely going to be even harder in the Senate so we NEED you to warm up those typing and dialing fingers, look out for the action alerts coming your way.